Who hasn’t heard of Usain Bolt? The fastest man in the world. The first one to hold the 100 meters and 200 meters world records. 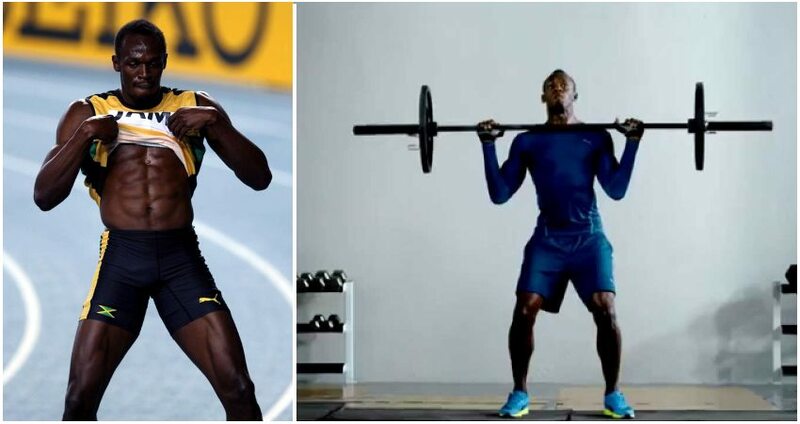 Besides the multitude of gold medals he has won and the record-breaking speed he has achieved, Bolt is the proud owner of one of the most athletic, ripped and aesthetic bodies on Earth. While matching his speed could be a pursuit you might consider in your next life, there’s no reason why you shouldn’t copy parts of his diet and fitness regimen. 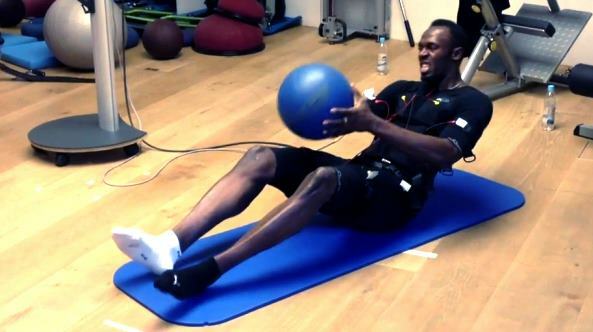 Usain Bolt might look like a Superman, with all the achievements so far, however that doesn’t excuse him of the strenuous exercise he has to endure to keep his body in peak physical condition. He says that he is scheduled to be at the gym at 10 o’clock every morning, however that’s exactly the time when he wakes up most often actually. Getting his 6’ 5, 207-lbs body to the gym is not an easy task either. This Olympic gold medalist, played mostly cricket and football as a child, however he was persuaded to try sprinting by a coach. So, how does this man manage to stay ahead of everybody else? By being disciplined and putting the needed effort and hard work. One could easily notice that top sprinters are usually shorter thus having an advantage when they explode off the starting block, however Bolt’s ultra long, hugely-efficient stride overcomes that obstacle easily. Most of the top sprinters complete the 100 meters in about 45 strides, but Bolt completes them in 5 strides less. 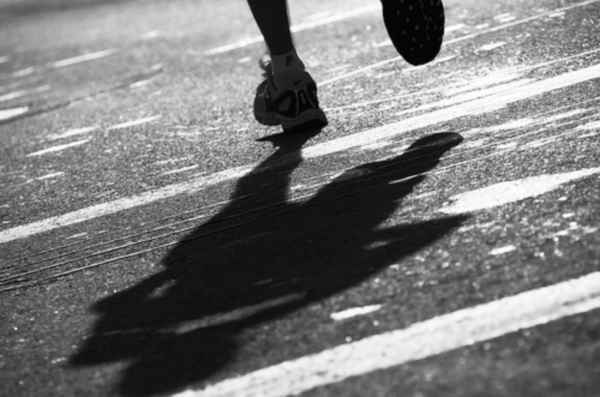 To keep that advantage, the 30-year-old sprinter goes to the gym regularly and does workouts lasting about an hour and a half with a strong emphasis on increasing his explosiveness, while always trying to keep the fat off and maintain a lean body. He doesn’t need to bulk up and he does a lot of leg extensions and hamstring curls. His conditioning consists of targeting his core muscles. He says that he has suffered from scoliosis since his childhood, so he says his back is a bit weak. Neglecting the training of these two body parts made him finish second at the 2012 Jamaican Olympic trials in the 100 and 200-meter races, to which he later confessed. All of his workout program is geared towards creating the ultimate stability that is needed to reach the speeds of over 27 miles per hour. When asked about what drives him, he responds that he didn’t want to finish second. However, when he’s at the gym, his reasons are a lot simpler and a lot more direct. He wants to have a beach body, look good and impress the ladies. You may not have the best genetics for athletics, and it is going to take more time and effort to achieve the body you desire, but will trumps everything, so if you are really passionate about it, you will succeed. It mostly boils down to being consistent. Grinding in the gym, day in, day out. 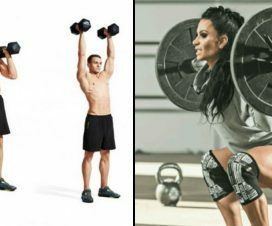 You will do 3 sets of the following exercises and rest 30 seconds between each exercise. Lie down on your back, keep your legs straight and keep your arms over your head. In order to prevent moving of your torso during the execution of the exercise you could hold on to a bench leg or push your hands against a wall. Then start raising both of your legs together, whilst keeping your lower back firmly down on the floor, until your feet face the ceiling. Then, start lowering the legs down again. Lie with your face-down on the floor and place your hands behind your head. Now try to lift the torso off the floor while twisting it up and to the right. Get back to the floor again and do the same thing, only this time twisting to the left. Lie on the left side of your body, tuck your feet behind you and keeps your knees in line with the body. Support your body on the left elbow and raise the hips off the floor in a modified side plank position. Put the right hand on the right hip Start opening and closing the knees in a clam manner. Switch sides for the next set. Bolt loves his chicken, mostly wings and nuggets, so we can assume his personal cook has his work cut out for him in order to make sure his body remains in peak physical condition. Yams are one of the superfoods he eats regularly. It has 180 calories per cup, satisfies 34% of the daily vitamin C needs (presumed to decrease post-workout inflammation), 40% of the daily vitamin B6 needs and 26% of daily potassium needs which is an essential mineral. He says he can often indulge in his favorite food, but he gives it all he’s got to stay away from junk food in a period of about three months, because the older he becomes, the better his nutrition needs to be. For breakfast he eats saltfish and ackee, which is a traditional Jamaican specialty with cooked banana, potatoes, dumplings and yellow yam. For lunch he eats pasta and chicken breast and for dinner he eats peas with pork and rice.